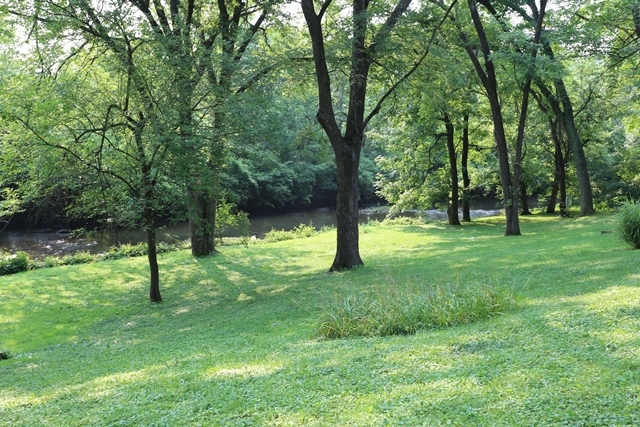 1207 Old Cannons Lane is located near two famous parks in Louisville, Seneca and Cherokee! The street doubles as a bike path and the Seneca loop is less than a block away. This brick ranch has been well cared for over the years and renovated in 2011. 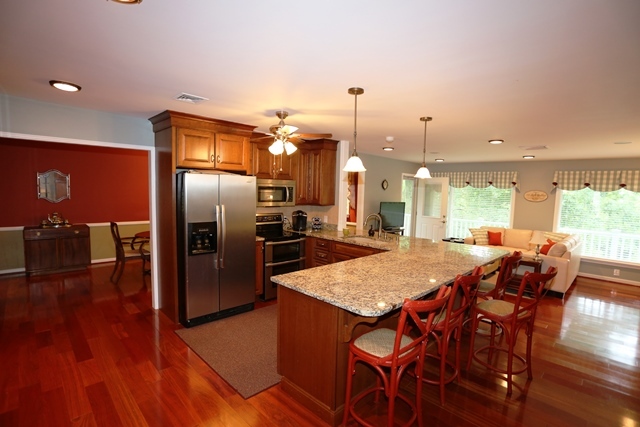 The first thing was to completely remove the kitchen and start over with new cabinets and granite. The rear wall to the kitchen was removed as well which made this area absolutely huge extending almost 30 feet. Brazilian Cherry floors were added and made this remodel stunning! There was a large bay window added in the front of the house and more picture windows in the rear. This home really fools you from the road. You see a brick ranch, but have no idea how large it feels inside. 2 bedrooms were converted into one large master suite and another separate HVAC unit completes this area. To top it off, the walkout basement is finished as well with an eat-in kitchen and sun room. This would make a great mother-in-law suite! The view to the rear is awesome as you look into a forest with the Middle Fork of the Beargrass Creek as the predominant feature. This home sits on almost half an acre giving you lots of privacy. The landscaping is mature and well placed. The interstates are close by but special attention has been paid to sound deadening with triple pane windows on the rear as well as sound deadening foam insulation. There is limited traffic along Old Cannons making the location seem even more private. Call The Hollinden Team today about 1207 Old Cannons and ask for a private showing. If you want to see other ST Matthews Homes for Sale, the team can help with those as well. People that want to live in this area will instantly appreciate the charm of the area. Give Tim Hollinden of RE/MAX Champions a call at 502-429-3866 and let him help with your next home purchase.